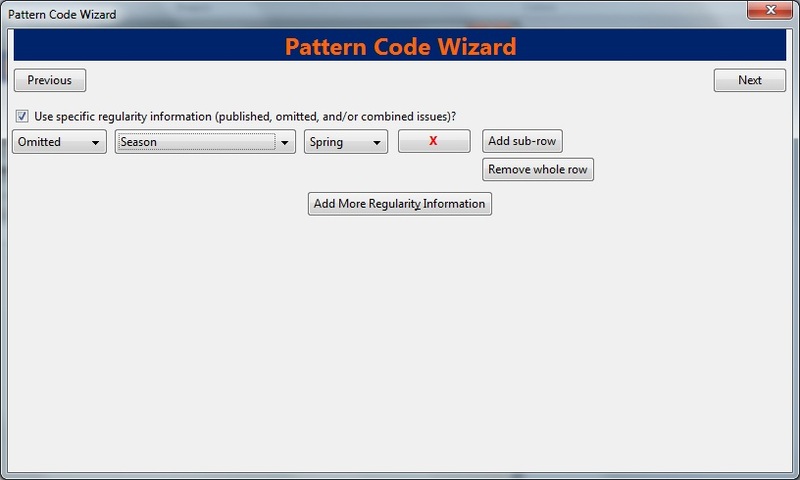 Click the captions and patterns link beneath the subscription. 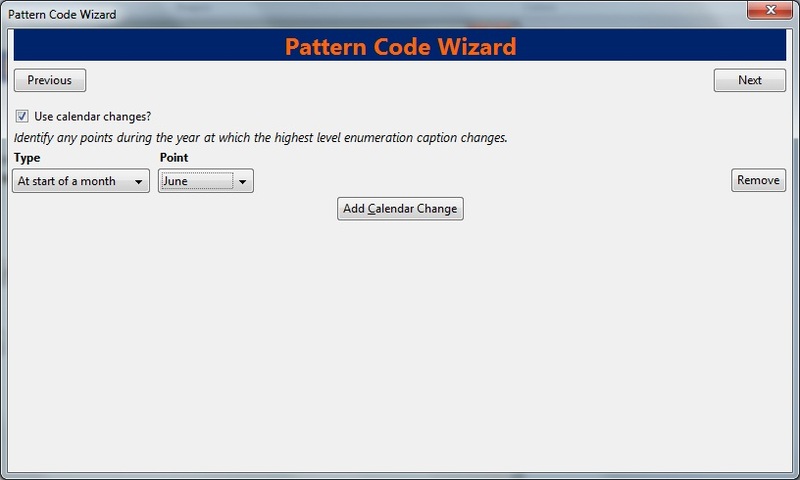 Right click or click Actions for Selected Rows, and click Add Caption/Pattern. 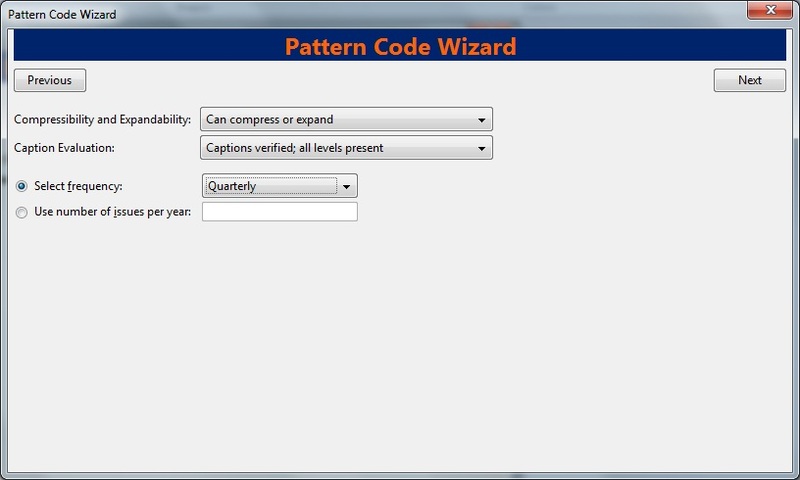 In the Pattern Code dbox, you can enter a JSON representation of the 85X tag by hand, or you can click the Pattern CodeWizard to enter the information in a user-friendly format. 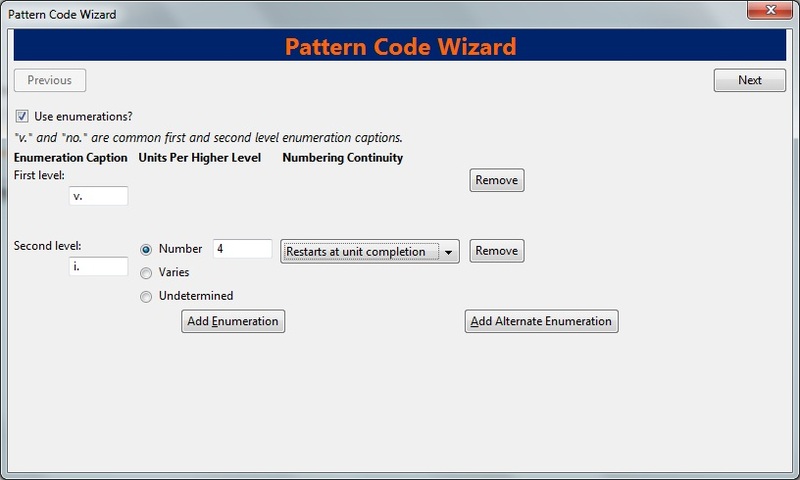 To add an enumeration, check the box adjacent to Use enumerations.. The enumerations conform to $a-$h of the 853,854, and 855 MARC tags. 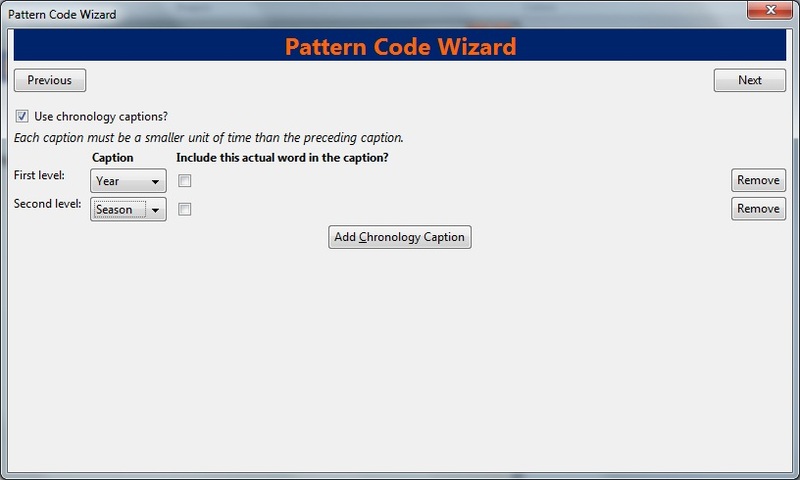 Choose a chronology for the first level. If you want to display the terms such as "year" and "month" next to the chronology caption in the catlaog, then check the box beneath Display in holding field. Choose the frequency of your publication from the drop down menu. For irregular frequencies, you may wish to select use number of issues per year, and enter the total number of issues that you receive each year. However, in the . 0 release, recommended practice is that you use only regular frequencies. Planned development will create an additional step to aid in the creation of irregular frequencies.